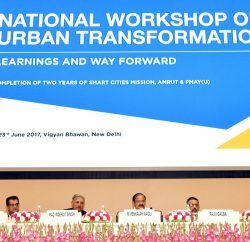 Hamirpur: Vice President of India M. Venkaiah Naidu said that the dream of New India could only be visualized with new ideas and new ways of making them real through effective implementation. He said the New India would be a scientific India, it would be technological India. 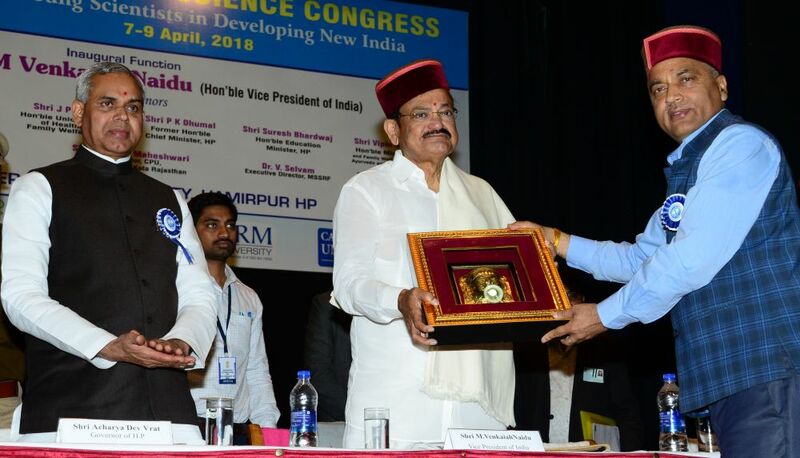 Vice President, while speaking at the inaugural address at the 9th Indian Youth Congress organized by Career Point University Hamirpur at NIT, Hamirpur today, said that forums like Science Congress would enable the young minds to share knowledge, information and draw inspiration to come up with new ideas that would power the India of the future. He said that the students should be encouraged to ‘discover’ rather than be ‘told’ the answer. Naidu said that science should be an integral component of the curriculum. Scientific approach that relies on evidence and raising relevant questions and seeking answers should be internalized. He said that the Conference would usher in greater progress and development by fostering scientific temper among out youth. He appreciated the efforts of Himachal Government in the field of environment conservation and increasing green cover. He said that the people of Himachal were honest in their approach and work and urged them to keep this tradition going. He said that we should not forget our mother, our mother land and mother tongue. He also urged the people to live with harmony with nature. Speaking on the occasion Governor Acharya Devvrat said that India was land of knowledge since time immemorial and Vedic cosmology was the only one whose time scales corresponds to that of modern scientific cosmology. 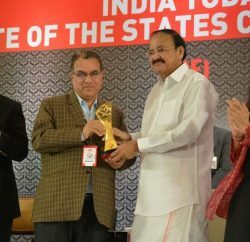 He said that it was the need of the hour to develop scientific approach by upholding the Indian traditional knowledge. The Governor said that scientific approach without humanitarian thought and humane touch was irrelevant. Chief Minister Jai Ram Thakur said that climate change was serious challenge for our very existence and scientists should come forward to tackle this teething problem. He said that in the present era of scientific excellence, the efforts should be made to make India a frontrunner in this field. He said that even in this era of scientific innovation, we should not ignore and abandon our ancient knowledge and wisdom. Jai Ram Thakur asked youth to work hard for making the Nation strong and vibrant. The Chief Minister urged the young scientists to work towards making life of the people prosperous and happy. 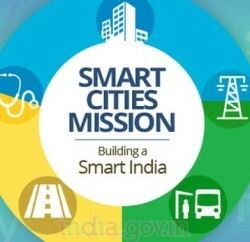 He said that the Indian Youth Science Congress would go a long way in inculcating scientific thinking and promoting science and technology in the country. 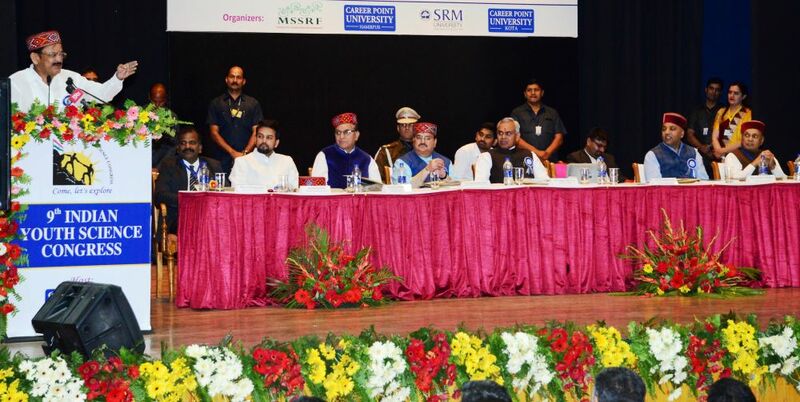 Union Health Minister J.P Nadda asked scientists to help in incorporating tradition and local knowledge, systems and technologies in research to develop effective and sustainable solutions for human development and progress on the country. He expressed concern over increasing cases of anemia, particularly amongst younger generation. He urged the scientists to come forward to redress this problem at the earliest by vigorous research in this field. He said that since today was the World Health Day, in a phased manner health centres would be changed in to wellness centres for overall health of the nation. He said 1.50 lakh health wellness centres would be established in the country by year 2020. Noted Scientist and father of Green Revolution in India Padma Vibhushan Prof M.S. Swaminathan in his key note address through the video conference said the young scientists should collectively work towards meeting the challenges posed by climate change. He also stressed the need to ‘deliver as one’ approach for the reform in the governance of various food security related schemes. Vice Chancellor, Career Point University Dr P.L. Gautam said the first Indian Youth Congress was held in the year 2009. He said that the theme of the Indian Youth Congress for this year was ‘Role of Young Scientists in Developing New India’. Education Minister Shri Suresh Bhardwaj, Health and Family Welfare Minister Vipin Singh Parmar, Rural Development and Panchayati Raj Minister Virender Kanwar, Industries Minister Bikram Singh, MP Anurag Thakur, MLA Narinder Thakur, Executive Director, MSSRF Dr V Selvam, President SRM University Prof. Satyananarayanan were present on the occasion.